The economy of the colony of New South Wales was plagued by a lack of currency during its early years. Governor Lachlan Macquarie attempted to remedy this by importing 40,000 silver Spanish eight-reale pieces. By having the centres stamped out of the coins, Macquarie distinguished them as belonging to the colony of New South Wales and prevented them from going straight out again. In doing so, he created the first currency minted in Australia. Foreign coins were common in the early years of the New South Wales colony. British coins circulated with Dutch guilders and ducats, Indian mohurs and rupees and Portuguese johannas. Much of this coin left the colony as a result of trade with visiting merchant ships. 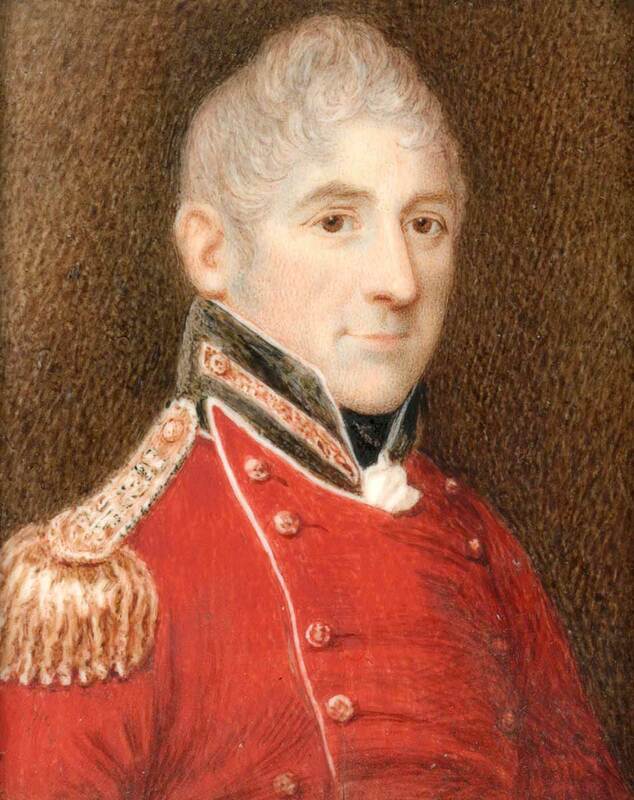 Governor Lachlan Macquarie set out to secure a reliable supply of coins for the colony. A special shipment of 40,000 coins arrived in the colony from the Indian city of Madras aboard the Samarang on 26 November 1812. These coins were silver Spanish eight-reale pieces. Known as ‘pieces of eight’, they were at the time used as a de facto international currency. It is likely Macquarie was aware of an earlier system used in another British colony, the West Indies, where captured Spanish dollars were cut and counterstamped so they could not be re-exported. By having the centres stamped out of the coins imported from Madras, Macquarie distinguished them as belonging to the colony of New South Wales and prevented them from going straight out again. In doing so, he created the first currency minted in Australia. Convicted forger William Henshall was chosen to cut and counterstamp these coins. Henshall had worked as a metal plater and cutler in England. On an 1811 New South Wales muster list he was listed simply as a ‘convict’, without reference to his trade. Macquarie probably learnt about Henshall’s metal-working skills by reputation. Henshall arrived in New South Wales after being sentenced in 1805 to seven years transportation for his involvement in counterfeiting. He provided authorities with information about other forgers and ways of combatting the crime in exchange for an assurance his wife and family would accompany him to New South Wales. Henshall arrived in the colony and was granted an absolute pardon on 12 September 1812, six months before his sentence was due to end. Macquarie provided Henshall with a workshop in the basement of a building known as ‘The Factory’ to make the holey dollars and dumps. This building, used by government printer George Howe, was near the corner of Bridge and Loftus streets, by the eastern bank of the Tank Stream. It was effectively Australia’s first mint, with Henshall Australia’s first mint master. Macquarie initially anticipated that the task of converting the 40,000 Spanish coins would take three months, but the project took more than a year to complete. Henshall had to experiment with making the necessary machinery, which proved difficult. It seems that Henshall used a drop hammer, as opposed to a screw press, to stamp the coins with their new value and ‘NEW SOUTH WALES 1813’. He incorporated his ‘H’ initial into the spray of leaves in the counterstamp design and also inscribed his initial between the words ‘FIFTEEN’ and ‘PENCE’ on the reverse of the dump. The first batch of new coins was delivered to Deputy Commissioner-General David Allen on 25 February 1814. The final batch was delivered in August of the same year. Henshall left the colony for England in 1817. It is not known what became of him. By the 1820s, England had improved coin production and adequate supplies were made available to its colonies. Local banknotes and paper tokens were issued by the Bank of New South Wales and circulated from its establishment in 1817. In 1853, Queen Victoria consented to the establishment of a branch of the Royal Mint in Sydney. Other branches followed in Melbourne in 1872 and Perth in 1899. Australia’s first gold sovereigns and half sovereigns were turned out in 1855. By the late 1870s, Sydney and Melbourne gold coins were accepted as legal tender in Britain and most other colonies using British coin. The mining of gold from the 1850s triggered prosperity and the development of banking across Australia. In 1851, there were eight trading banks and 24 branches. By 1890, 33 new banks had been launched and the number of branches exceeded 1500. Commercial banks issued bank notes but they did not constitute a national paper currency and the public remained wary. A banking crisis in the early 1890s produced calls for a national or central bank, uniform banking laws and a national currency. During the debates over Federation, the matter of a national currency was left unresolved and Australia’s currency remained a mixture of British copper, silver and gold coins. It was not until 1910 that an official Australian currency was introduced, marked ‘Commonwealth of Australia’, and British currency was progressively withdrawn. In 1966, Australia switched to a decimal currency whose coins and notes depicted Australian imagery while retaining the image of the British monarch.